Going into spring, many new things are starting, one of them being softball! The sun is finally coming out and our softball players are ready and excited! Tryouts were on February 26th and teams were made soon after. Practices are right after school from 4-6pm everyday, when there is no game, held either at Century or the Hillsboro Stadium. Their first event was a jamboree on March 11th against Oregon City and David Douglas. Josie Hill, a player on Jv and Varsity, says “ A jamboree is a good way to get the season started without the title of it being an official “game””. Our seniors this year are Gavyn Shafer, Sarah Gruber, Brylie Mannen, and Adreanna Stratton. Most of these girls have been playing since their freshman year. It is also coach Emily Connors first season as being head coach. Being as it’s their very last year of playing softball for Century, and Emily Connors first year of coaching, we need our student body to show support and make it their best year yet! This season, Century softball will be playing schools in the Pacific Conference. Schools in the Pacific conference are Century, Mcminnville, Newberg, Liberty, Sherwood, and Forest Grove. Lots of these girls are excited about the new changes that are being brought to century softball this year such as the coach, and the change in league. Not only that, but they’re also excited about being able to play with each other, and meet new people in our school and other schools! 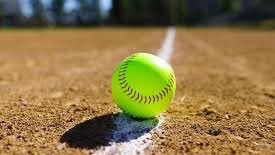 Spring is an exciting season for high school sports with Softball, tennis, track and baseball going on! High school sports are a great way to make new friends, and try new things. They take a big part in what goes on at Century high school and is one of the student body’s favorite. If you’re wanting to go watch and support our softball teams; times, dates and places will be posted in the north hallway and on the Century update instagram page; @century_updates! The Century instagram softball page is @century_softball, where updates will also be posted. If you’re not able to find it there someone from one of the teams will most likely be able to tell you. Good luck to the all of Century’s coaches and players this season!